Lung cancer is the leading cause of cancer-related deaths in both men and women in the United States. Often, lung cancer will have no symptoms, and by the time patients show signs of the disease, the cancer has progressed to an advanced stage. Proactive measures, such as lung cancer screening, can help diagnose lung cancer in its earlier stages and improve outcomes for patients. 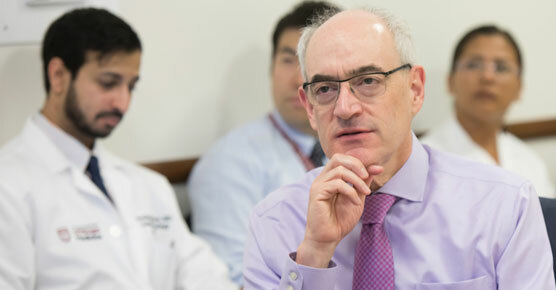 The University of Chicago Medicine lung cancer prevention and treatment team is a collaboration of specialists from oncology, pulmonology, radiology, surgery, pathology and more. These experts work closely together to diagnose and treat each patient. Our goal is to provide the highest level of patient care at every stage of treatment, which includes offering lung cancer screening to qualified patients. We're proud to be designated a Lung Cancer Screening Center by the American College of Radiologists. This important distinction signifies our program has met rigorous quality standards to provide safe and effective lung cancer screening services. Lung cancer screening is a method of monitoring patients who are in reasonably good health but have an increased risk of developing lung cancer. 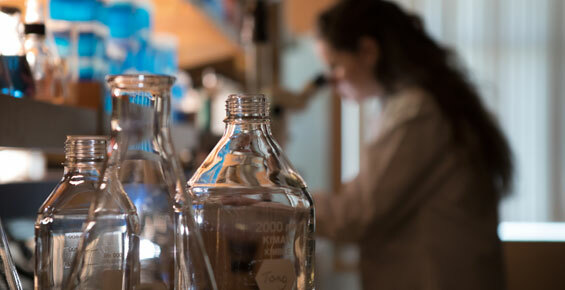 Through screening, physicians can identify potential early-stage cancer and begin treatment sooner to reduce the number of patients who progress to end-stage cancer or die from the disease. Specialists at UChicago Medicine perform a low-dose CT (LDCT) scan of the patient's chest to obtain a detailed image and analyze it for any abnormalities. A LDCT scan is a quick, painless, non-invasive diagnostic test that allows physicians to detect very small abnormalities or nodules in the lungs that could indicate cancer. Additionally, during a low-dose CT, patients are exposed to less radiation during the test, and because it is a CT scan, there are no issues with claustrophobia (unlike with MRI scans). Typically, screening is performed annually until the patient reaches 77 years old or has ceased smoking for 15 or more years. How effective is screening at preventing fatal lung cancer? Studies have shown that lung cancer screening can reduce the risk of death from lung cancer by 20 percent. Some people develop rapidly growing cancer that can spread before detection, so while it is not a guaranteed solution to preventing fatal lung cancer, it can significantly reduce your risk. In addition to screening, quitting smoking is the best method to reduce your risk for lung cancer. Each candidate must meet all of the criteria above in order to be considered for lung cancer screening. Pack years are calculated by using the number of years you smoked and the amount of cigarettes smoked each day. Examples of 30 pack years include: 30 years where you smoked one pack a day or 15 years where you smoked two packs a day. Your physician can help you calculate your pack years based on your smoking habits. What are the benefits to lung cancer screening? The test is designed to screen high-risk patients before they begin to show symptoms of disease, so the largest benefit is the potential to diagnose lung cancer in its early stages and begin treatment immediately in an effort to reduce mortality from the disease. What are the risks to screening? Additional tests, procedures and follow-up: As abnormalities are discovered during testing, this could lead to additional tests and procedures, such as subsequent scans or biopsies, in order to obtain a definitive diagnosis. False negatives/false positives: False negatives occur when the test did not detect an abnormality, but lung cancer is present. This can result in delayed treatment. Alternatively, when physicians believe the results are abnormal, but there is no cancer present, this is called a false positive. Both situations can lead to additional anxiety and distress. Diagnosing non-harmful cancer: Physicians cannot be sure which cancers will ultimately become harmful. So, if cancer is found, your doctor will likely recommend treatment. This could theoretically result in treating non-harmful cancer. You and your physician should discuss the benefits and risks together to decide if lung cancer screening is right for you. Can you help me to quit smoking? 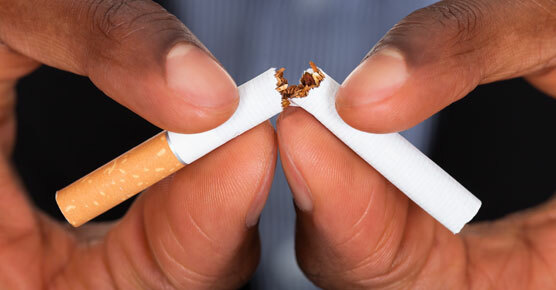 The most effective way to reduce your risk of developing lung cancer is to quit smoking. Experts at UChicago Medicine are committed to your health and can assist you in taking the right steps toward a smoke-free life. Our specially trained clinic staff is available to help you with both behavioral and medical solutions for smoking cessation. Learn more about our Courage to Quit ® smoking cessation program. Please complete this secure form to request an appointment for lung cancer screening at a UChicago Medicine care location. A representative will contact you within one to two business days to help you schedule the appointment. To refer a patient for lung cancer screening, please call UCM Physician Connect at 1-800-824-2282.